Any spells for success in Jewelry and crafts businesses? I have a quick question about a petition for Crown of Success.. I’ve written two novels, my second was just released two weeks ago.. Both are under my pen name so I’m wondering how I would word my petition.. Would I say something like “May Jane Doe (pen name) be crowned with success in all of her writing endeavors.” Or “May Jane Doe (real name) also known as Jane Doe (pen name) be crowned with success in all of her writing endeavors.” Or something else? I’m at a loss.. Maybe not the word endeavors.. I’m not sure Any help would be greatly appreciated.. Thank you! Congratulations on your new novels. You are the author, so I would write it in your birth name. Here’s an example: May Jane Does book Happiness in your life be crowned with success. CuriouslilThing, I would use both your real name and your pen name just to be sure. You could even write, "Lord, crown all the works of Mary Realname, known as Marietta PenName, with success." Thank you both for your replies! I love yours Miss Michaele! I had the church light the Crown of Success candle for me shortly after posting here in November, it was a fairly good burn according to the report with some white haze signifying minor delays and distractions and some glitter indicating minor confusion or uncertainty with two herbs indicating two minor obstacles... I just ordered a block buster candle and am hoping this aids to get rid of whatever 'delays, obstacles, confusion, etc..' lies ahead.. Once the candle report gets back to me I'll decide on whether to light another BB or do Crown again.. My question is, what candle would I light to receive more reviews for either of my novels. My first has 5, my second only has 1... All 5 stars, which I'm grateful for, but I would like more reviews.. Would Crown be what I light for reviews and my petition be something like "May Jane Doe, also know as Mary Ann (Pen name) receive successful reviews on all of her novels"... I know there's a candle for drawing in money, but I need one for drawing in reviews and I don't think there is one specifically for that, lol... Thank you for your help! Good question. I would recommend using Attraction and Look Me Over candles for this. 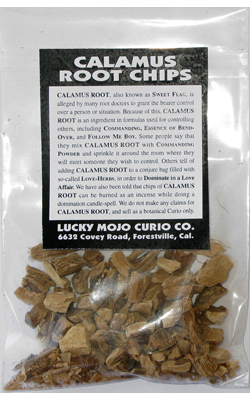 To the look me over I would also add to them Calumus Root Chips, Deer's Tongue Leaf, and Five Finger Grass. For your petition, using only your pen name will do just fine. I hope everyone is good and living their best life. Is there a spell that would help me attract musicians to buy my lyrics? I've bought crown of success, but I'm not quite sure how to apply it. I write my lyrics on paper and I write them in my phone. I was thinking anointing the paper I write them on. However, I think a spell would be the best thing. I've searched all over but I can't find any info on what I do. I've seen ways to attract publishers for writing a book, but not to attract musicians and producers to lyricist. I'm very good at what I do (if I may say so myself). I love writing and reading. I even co-wrote a play. The field of lyricial writing as a career is difficult. But, I love it. Dr Darensbourg's post just above yours has great advice that you can adapt to your situation. You can burn a candle dressed with Crown of Success, Attraction and Look Me Over oils and add a pinch of Calamus and Five Finger Grass to it. Set down a small stack of your written lyrics, put a written petition on top of it stating that you want musicians to buy your lyrics and burn your candle on top of it. Also, you could smoke your lyrics (paper or on your phone) in incense from the same oil formulas above. You can also work with a lodestone to attract musicians to your work. This should be a good start for you. I'm gonna do this ASAP.